Before each concert, we share “Manny’s Musings,” thoughts from our Music Director and Conductor, Manny Laureano. This is the final edition of the “Musings” for the “BSO”s Youthful Celebration” concert that will be performed on Sunday, February 19, 2017. 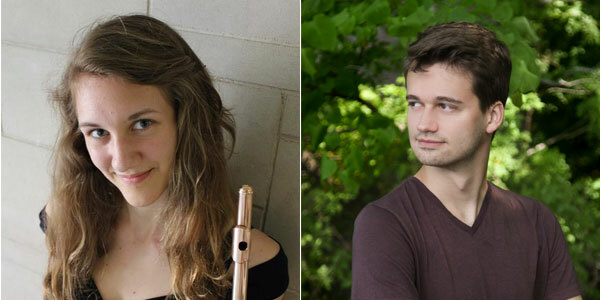 Up to this point, we have featured the work of composers in their mid-30s and early 20s. Let’s push the envelope further and have as our featured symphony, the work of an older teenager, the legendary Dmitri Shostakovich (1906-1975), who started to write his first symphony at the age of 17 and completed it at the age of 19. It was technically a student piece that fulfilled a requirement at Petrograd University in Russia while studying with composition teacher Nikolai Malko. This symphony is significant as a first symphony because it sounds so much like the subsequent works we are accustomed to hearing later. In other words, he was developing a language that was completely his, rather than imitate the music he grew up hearing which influenced his earliest works. The symphony is in four movements and begins in a series of conversations moving quickly throughout the orchestra. Shostakovich seems to play a game with the listener in this first movement that goes between stating themes clearly and simply (much like Copland!) and then goes into fits of self-mockery (much like one of his musical heroes, Gustav Mahler). The second movement is a romp that fairly challenges the listener to keep up with an almost cartoonish set of themes, pausing only briefly to ask the woodwinds to play an exotic and quiet melody. This respite gives way to the furious Shostakovich we know from later symphonies and chamber music. The third movement goes into its main theme without the gentle introduction we may be accustomed to in the music of other composers. Indeed, it is reminiscent of the slow movement from Tchaikovsky’s Fourth Symphony where the oboe immediately begins a plaintive song. Listen for the rhythmic interjections by the brass and timpani, crying out for attention. In fact, the trumpets lead a transition to the whirling finale that vacillates between tornadic virtuosity to breathless moments of pained statements from varied solo instruments. 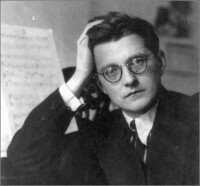 But Shostakovich will not be denied, and he builds to a tremendous ending that establishes who he is and what to expect from him in the future. Joseph Stalin would have other ideas…but that’s another concert.